I can't seem to access the content on my learning portal. Attached is the screenshot of what happens whenever I click any tabs on the left e.g. 'Assignment' or 'Topic 1'. I hope this issue can be resolved soon! 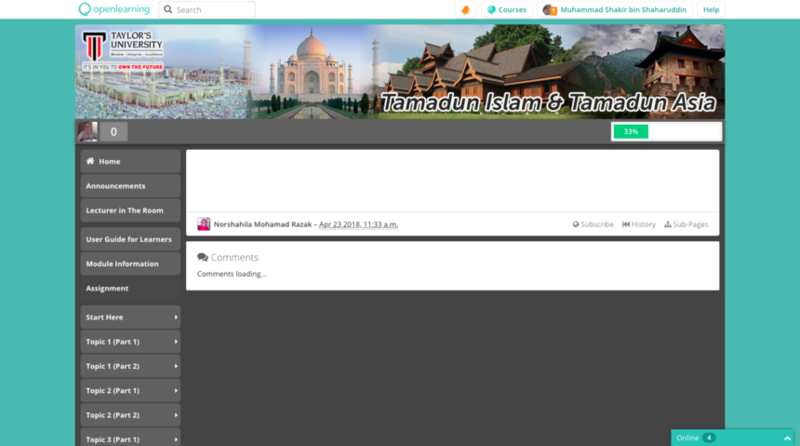 Hi Muhammad Shakir bin Shaharuddin , our server experienced a temporary downtime. The issue should be fixed now. Can you please check whether you are able to load the contents now?